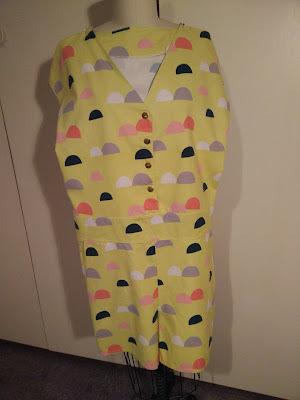 I finished the Salme playsuit/romper last weekend. 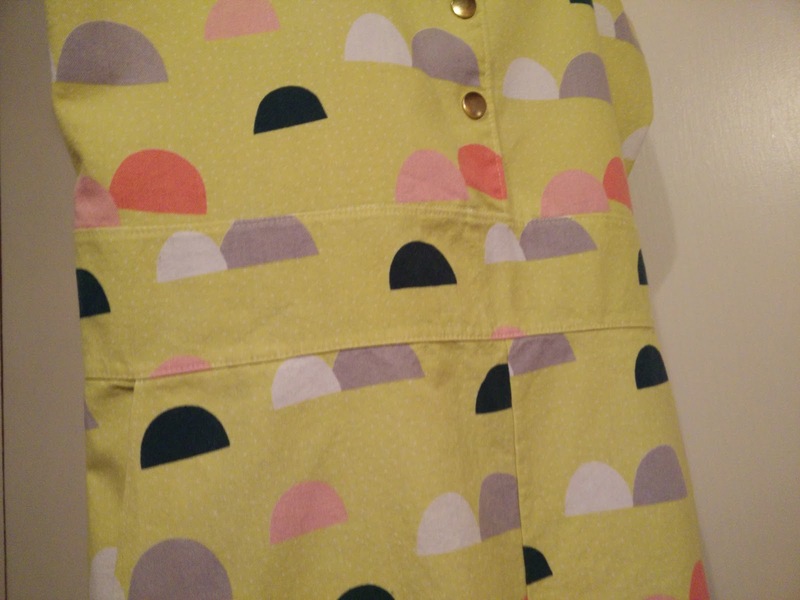 I purchased this Saaristo fabric from Kokka at Bolt and love this particular lime yellow colorway. The pattern was pretty straightforward though I did make some modifications and had to think through the pockets instructions. 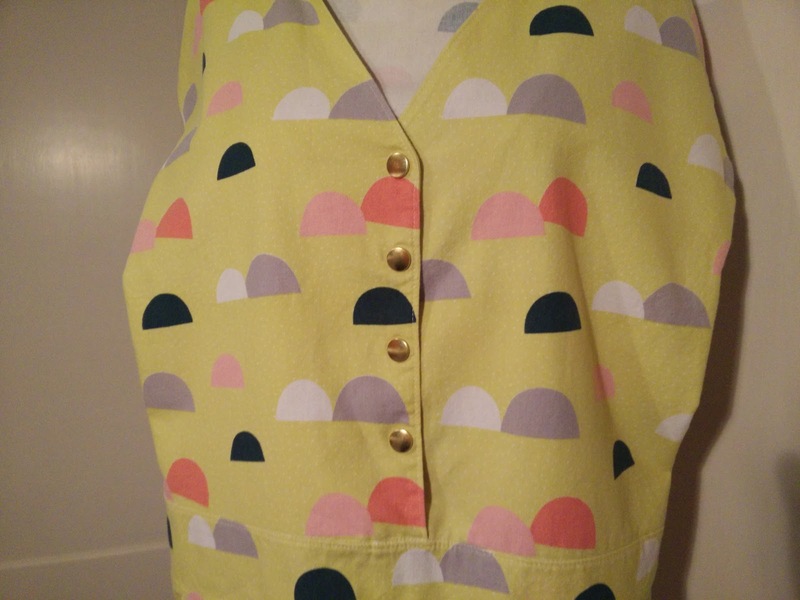 Originally, sewn-on snaps were called for and hidden under the placket, but reviews of the pattern said that the placket didn't lay flat with the snaps. 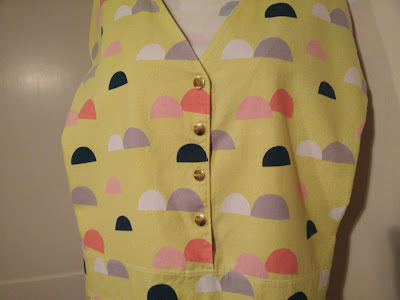 Instead, I purchased some heavy duty snaps and added them. 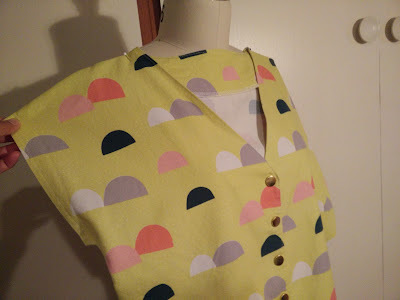 The pocket construction was completely different than what I've ever done and I had to read the directions multiple times to figure it out. I don't think the corresponding pictures totally match either, but it eventually worked. 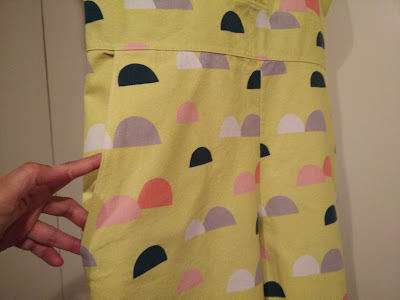 I really like the wide waistband and I opted to forego any kind of elastic. It makes for a less fitted look with a dropcrotch, but I'm liking that style these days.